Preheat an oven to 375 degrees F (190 degrees C). Grease a baking dish and arrange the catfish in a single layer. 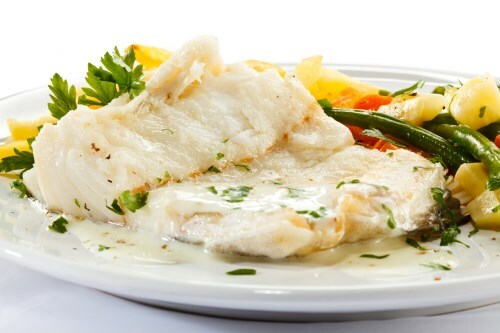 Bake in the preheated oven until the fish flakes easily with a fork, 45 to 60 minutes. Meanwhile, whisk together the tahini, garlic, water, and lemon juice; season with salt. Once the fish is done, cut it into 1 inch cubes, and pour the tahini sauce overtop. Sprinkle with parsley to garnish.